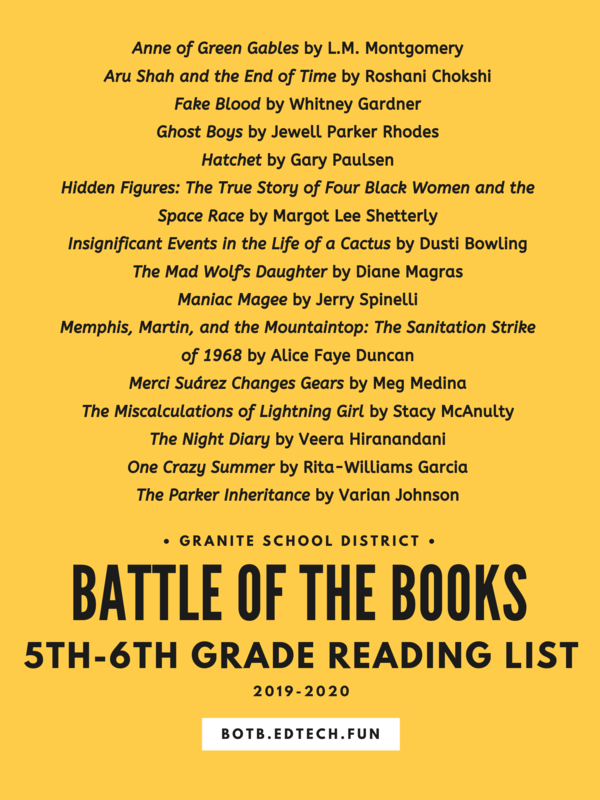 After sharing hints and clues all week, we are excited to publish the full Granite Battle of the Books 2019-2020 Reading Lists! 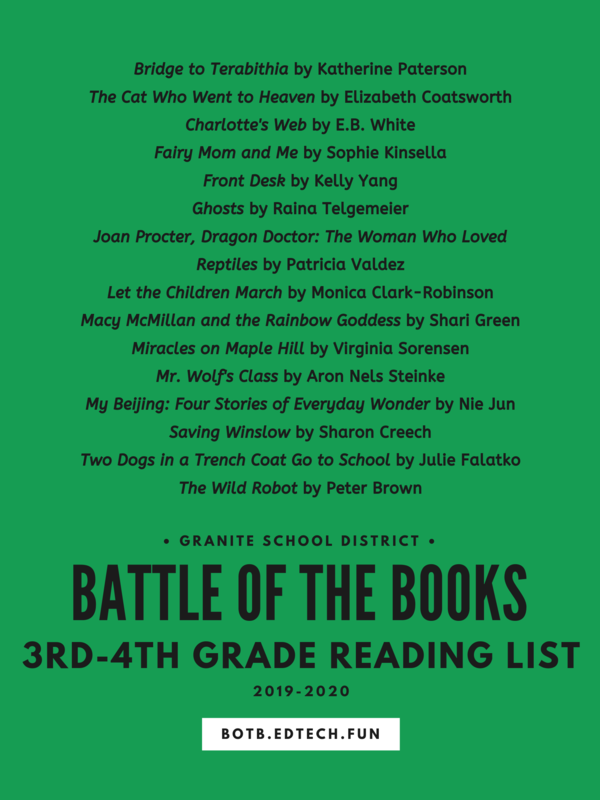 These lists were decided by committees of teachers and library media clerks from schools that participate in Granite’s Battle of the Books program. Posters were designed by Nikki Gregerson, who was also the mastermind behind the #GSDBoB20 #BookReveal social media campaign. 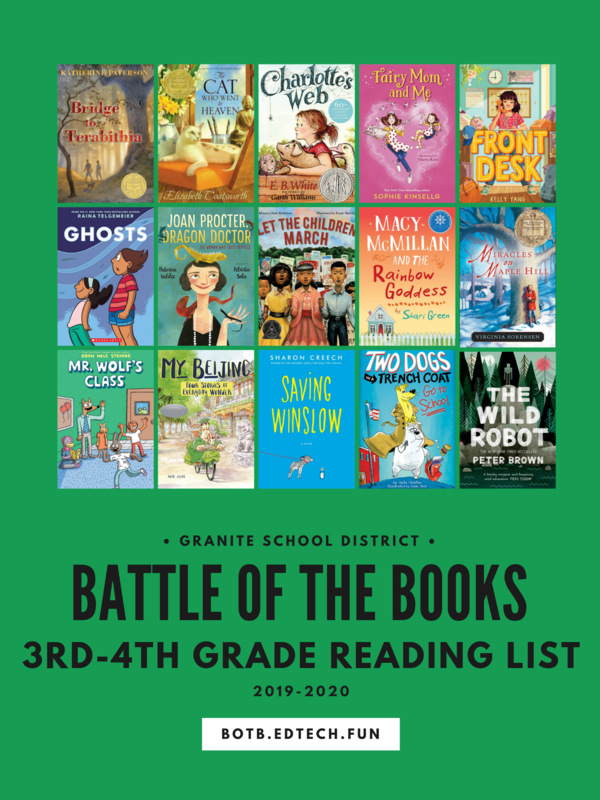 You can find more resources and information about Granite’s Battle of the Books program at botb.edtech.fun. You can view highlights from our 2019 district competition on the #GSDEdTech blog. 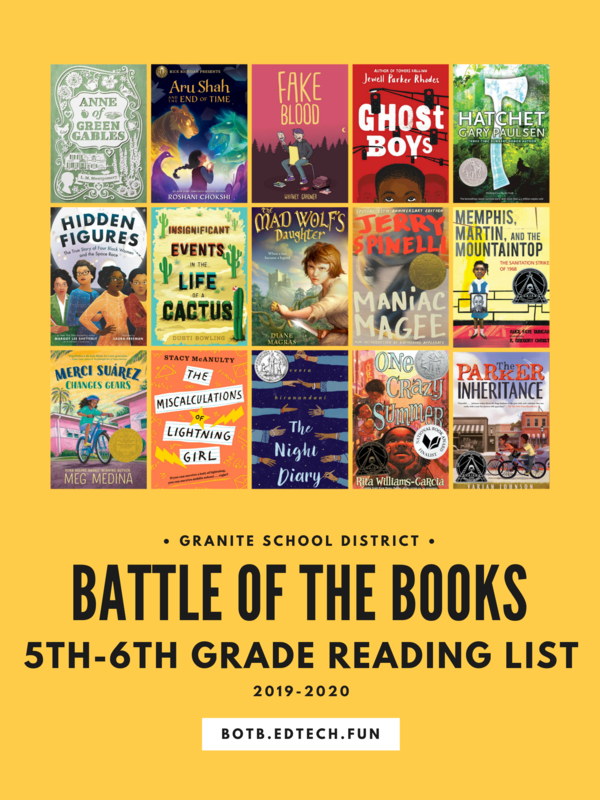 If you have additional questions about Battle of the Books in Granite School District please contact Nikki Gregerson, District Library Media Specialist for Elementary Schools. Excellent choices! Happy to see I’ve already read 10 of them! Excited to get my hands on the others! The reveal was exciting and fun! Arcadia is so excited for the new list. WE LOVE BATTLE OF THE BOOKS!